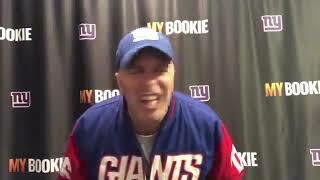 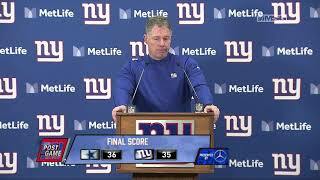 In his final post game game press conference, Pat Shurmur sums up the Giants year and what they can build on for next season. 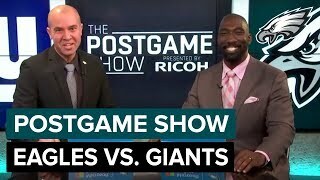 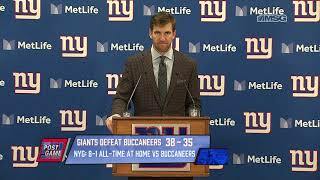 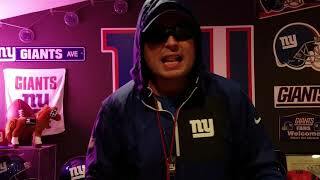 Eli Maning talks about throwing just one incomplete pass and wining two games in a row after the Week 11 victory over the Buccaneers. 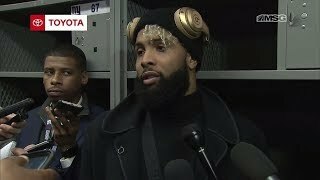 Odell Beckham Jr. discusses the tough loss to the Eagles and leaving the game with a cramp in his calf. 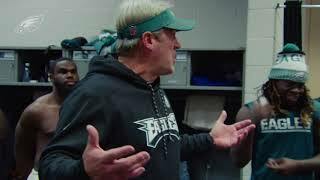 Brad Sham and Babe Laufenberg talk to Joe Thomas after the 36-35 win over the Giants.